The Leviathan exploration prospect, which is located northwest of the coast of Haifa, contains 80% more natural gas than the Tamar reservoir, which was previously considered Israel’s largest drilling site, a report released Wednesday by Delek Energy revealed. With fewer fish in the sea with each passing year, Israel’s Grow Fish Anywhere has found a way to grow them in the desert. Biological filters and specially developed bacteria treat the water the fish are growing in, without wasting anything. Bar-Noy and 30 or so others – mostly engineers, marine biologists and other technical folk – have found a solution to the diminishing numbers of fish in the sea. Based on the work of Israeli scientist Dr. Yossi Tal and Hebrew University professor Jaap van Rijn – inventor of the system – GFA has developed an on-land environment where fish can be raised, without having to exchange water or treat it chemically. “We call this a zero-discharge system,” Bar-Noy tells ISRAEL21c. “We use biological filters and specially developed bacteria to treat the water the fish are growing in, without wasting anything. The system can be set up to raise salt-water fish anywhere in the world – even in the desert, thousands of miles from the ocean,” he asserts. Fish farms are nothing new. They’ve been around for years, enabling growers to set up controlled environments that can ensure a specific yield of fish, allowing them to guarantee delivery without worrying about dwindling supplies in the ocean, pollution, inclement weather, and other factors that are hard to control. Still, while they enhance the conservation of fish in the sea, fish farms have problems of their own – mostly due to the need to circulate the water in the pools and tanks where the fish are raised. Most fish farms are located adjacent to a body of water, and their waste-laden water is channeled into the sea, and replaced with “fresh” sea water. While fish raised in captivity don’t produce an increased amount of waste, at sea it would be dissipated over a much wider area. The fish waste, with its nitrogen and other elements concentrated in a relatively small area, renders the water that it’s dumped into uninhabitable for fish. As the tanks are generally located near the shore, in relatively shallow water, the wastewater tends to linger there. With the movement of the currents, nearby jurisdictions are liable to find a considerable number of fish floating belly-up in their bays and harbors, having been poisoned by the high concentration of nitrogen and nutrients in the wastewater dumped from the tanks. GFA’s New York purification plant opened in 2009 and is already supplying 100 tons of sea fish a year to the US market. GFA is currently the only solution that eliminates the environmental problems associated with fish farming. Tanks are filled with water, then with fish – and added to the mix are microbes perfected by GFA to treat the nitrogen and organic waste byproducts of fish production, in the tank. The system has already been set up in several locations in Israel, and the company runs a purification facility in upstate New York, which has been operating since 2009. The facility, the largest using GFA technology, produced about 100 tons of fish last year – mostly salt-water fish like sea bream, bass, tilapia, and others. GFA is currently working on the third generation of its purification system. While the company was formed in 2008, its technology was developed over a 20-year period. “While the ideas were there for awhile, the only viable purification techniques were based on electrical devices. It was only with the rise of biotechnology techniques that we were able to develop the bacteria that enable us to do the purification cheaply,” Bar-Noy explains. The resulting system allows for high-capacity fish production – as much as 100 kg of fish per cubic meter of water (220 pounds of fish per 35 cubic feet) – along with the ability to grow fish in any environment. Fish farms can be set up anywhere – including in large cities, where fish may be brought to market the same day they’re harvested, thus enabling growers to eliminate transportation time and costs. After raising funds from several angels, GFA recently raised NIS 18 million (about $126,000) from Dutch private equity fund Linnaeus Capital Partners. The money will finance a number of projects, including expanding the New York facility and further refining the technology. A robotic exoskeleton designed in Israel to help paraplegics walk and climb stairs alone, has become the unexpected star of Glee, one of TV’s most popular programs. When Artie Abrams, the disabled member of West McKinley High School’s Glee club gets up and walks on the program’s Christmas special with the aid of a robotic exoskeleton, there isn’t a dry eye in the house. “It was invented by some guy in Israel,” says Artie, played by actor Kevin McHale, one of the popular TV show’s most endearing characters, a paraplegic teenager who knows how to belt out a great tune. It’s a poignant moment for viewers who have watched Artie deal with the pressures of being wheelchair-bound in an able-bodied and deeply prejudiced society. But for Argo Medical Technologies, the Israeli company that created this unique technology that gives wheelchair users the opportunity to walk, climb stairs and meet the world eye to eye, the show, which aired in the US this week, marks a significant turning point in the company’s history. Artie Abrams, played by actor Kevin McHale, steps out for the first time. ISRAEL21c first wrote about Argo Medical in July 2008. It was the first time the company, then a seven-year-old start up, had been featured in the press, and the team behind the quasi-robotic exoskeleton which includes leg braces with motorized joints and motion sensors, a brace support suit and a backpack with a computer and battery, were interested to see what kind of response the device would get. Little did they realize what they were in for. The ISRAEL21c story was quickly picked up by popular blogs like MedGadget, Gizmodo, and Engadget, as well as blogs serving the disabled community. Soon after Reuters followed up with a video of the device. The story exploded on the world’s press, and was reported everywhere from Canada’s National Post, to Italy’s Corriere della Serra. Over 14 TV stations ran their own stories on the technology, from ABC News, to the BBC and CNN. The Israeli company even got coverage in the Teheran Times. Since that first wave of interest, the company has been working hard to develop and test the technology with clinical trials at the Moss Rehabilitation Center in Philadelphia in the US and at the Rehabilitation Hospital at Chaim Sheba Medical Center – Tel Hashomer in Israel. The 12-employee company has already received CE approval for Europe, and has FDA approval for use in rehabilitation centers. FDA approval for personal use is expected to follow soon. A month ago, according to Oren Tamari, Argo’s chief operating officer, the company got an unexpected call from the producers of Glee. ReWalk goes on sale in January, and is expected to cost about $100,000. “We’re going to start sales very slowly, one customer at a time, so we can give everyone good service,” says Tamari. In January, he says the company expects to sell four units, then will move up to six, and so on. “We will grow slowly, slowly,” he says. Aside from enabling users to walk, using crutches for stability and support, the seven-pound device also treats some of the cardiovascular, digestive and circulatory health complications which many wheelchair users suffer. The exoskeleton has a moving story of its own. It was the brainchild of an Israeli electrical engineer, Dr. Amit Goffer who was left quadriplegic after an accident. He decided to develop a system that allows wheelchair users to walk, climb stairs and meet the world on the same level. After intensive rehabilitation, Goffer began developing the ReWalk prototype in his home, funding it privately and with a Tnufa – Startup Promotion Program grant. He later entered the Technion Incubator, TechnionSeed for a two-year stint and got financing from VC funds, Vitalife, ProSeed, TechnionSeed, the Technion R&D Foundation, and the Office of the Chief Scientist. “What we want to do is have the person wake up in the morning, put on clothes, put on the ReWalk, go to work and go throughout the day, wearing it,” Goffer, the founder and director of Argo, told ISRAEL21c in 2008. Now based in Yokneam in Israel’s north, the company’s target market is the community of wheelchair users in the Western world, of which 300,000 are spinal cord injury sufferers (125,000 in the US and 175,000 in ROW) who are physically able to use crutches as a stabilizing tool. Aside from the massive press interest, the ReWalk has also attracted the interest of other Hollywood stars. In April 2009, Paul Reiser, the star of 1990s hit TV show Mad About You, saw ISRAEL21c’s article and was intrigued enough to follow it up with a visit to the company with his family. While ReWalk holds out hope for thousands of people, sadly the man who devised the system still cannot benefit from his own invention. Goffer has partial use of his hands, but it is not enough to operate the ReWalk. In his interview with ISRAEL21c in 2008, Goffer said: “This isn’t the first company I’ve founded. My incentive to develop it was a business opportunity. When I was injured the first thing I was offered was the only thing: a wheelchair. I do believe that in the future, in many cases, the ReWalk – or its competition – might be offered. I don’t see any reason for the wheelchair to be the sole solution. There hasn’t been a real change [in the technology] for centuries. “We’re taking a safe business approach, starting with paraplegics, and the time for a quadriplegic like me will come,” he added. Back at Glee, some attribute the generous present to Artie as a present from Beast, the high school football coach. Others are calling it a Christmas miracle. Detecting depression online | social-action. An online ‘depression detector’ developed in Israel can identify depression 78 percent of the time, according to a team of clinical psychologists. A new algorithm developed by Israeli researchers can identify Internet users who are feeling depressed or suicidal. You know that the Internet is a goldmine of information, but did you know that the Web is able to diagnose your emotional states and determine whether you are depressed, in love, feeling vengeful or aggressive? A new algorithm developed by Israeli researchers can pinpoint human emotions and intentions by studying vast amounts of publicly available data on blogs and other social media outlets. Lead researcher Dr. Yair Neuman from Israel’s Bar-Ilan University has especially promising results for identifying depression. The data provided by his application could help human experts to home in on who might be at risk for suicide. And the application, which skims the Internet automatically, can be adapted to any sort of data he says, presenting intriguing possibilities for crime fighters, pollsters or Homeland Security. Currently enjoying a short summer sabbatical at the University of Toronto, Canada, Neuman will present his research in late August at the 2010 International Conference on Web Intelligence. He tells ISRAEL21c that he doesn’t imagine that his invention will replace the human element, but rather that he views it as an aid to help sift through and make sense of the billions of bits of data about the human experience that are available online. Neuman has used his application, which is funded by Israel’s Defense Ministry, to scan more than 300,000 English language blogs linked to mental health websites. The software was programmed to identify the 100 most depressed, and the 100 least depressed individuals, by analyzing their responses to metaphors and questions. The resulting data was handed over to a team of clinical psychologists, who confirmed a high correlation to what they would diagnose in the clinic, reporting that the software was able to identify depression 78 percent of the time. “I emphasize that the tool cannot substitute for an expert. It can provide a powerful way to screen for depression through blogs and Facebook. It analyzes text – the written language – and it can help us to identify people who are presenting signs of depression,” he tells ISRAEL21c. The software can also “excavate” the meaning of context Neuman continues, testing for love, revenge and happiness among people, or even the way a society feels about its minorities. To date, the standard way to gain insight into these issues is through costly and time-consuming public opinion polls. The identification of people prone to vengeful behavior might also help to pinpoint would-be terrorists or criminals, he adds. Another Israeli researcher, from the Hebrew University of Jerusalem, recently developed an online sarcasm detector, but Neuman says his approach is different: “I am analyzing the metaphor by sending queries to the web as questions, and understanding the way people metaphorically describe the answer. “We could ask: What is love like? What is depression like? And look for how people describe the personal experience. We are harvesting a web of metaphors,” he explains. For now his tool won’t be open source [meaning that for now the public does not have access to the end product’s source material] and with no immediate plans for commercialization, Neuman isn’t commenting on which, if any, agencies may be interested in the application. Still, his “no comment” suggests that it may be of interest to the US defense department. “It’s not artificial intelligence, but intelligence augmentation, combining the wisdom of people with IT to mine a goldmine of data,” he says. The Mayo Clinic for example, offers a list of clues that someone may be suicidal and includes in its watch list “statements about hopelessness, helplessness or worthlessness, sudden changes in mood, direct or indirect statements that reference death or dying and isolating oneself from friends or family.” These are signs loved ones can look out for, but what if the signs aren’t obvious? This is where the Israeli application could help. In the US alone, about 35,000 people commit suicide each year and the problem of diagnostics remains a challenge, since people identified as suicidal are those who are already seeking help, or those who have been ‘diagnosed’ through an online questionnaire. With increasing software advances, in the future diagnosticians will be able to scan the online world for more proactive signs of depression and suicide, for better intervention, monitoring and prevention. While developed for academic purposes, the new Israeli findings could be used to screen for suicidal teens and bloggers, mining the Internet for the clues they may leave about their intentions, perhaps enabling friends and relatives to intervene in time, if someone they care about is at risk. The Weizmann Institute of Science congratulates Prof. Ada Yonath on receiving the 2009 Nobel Prize in chemistry and is proud of her scientific achievements. 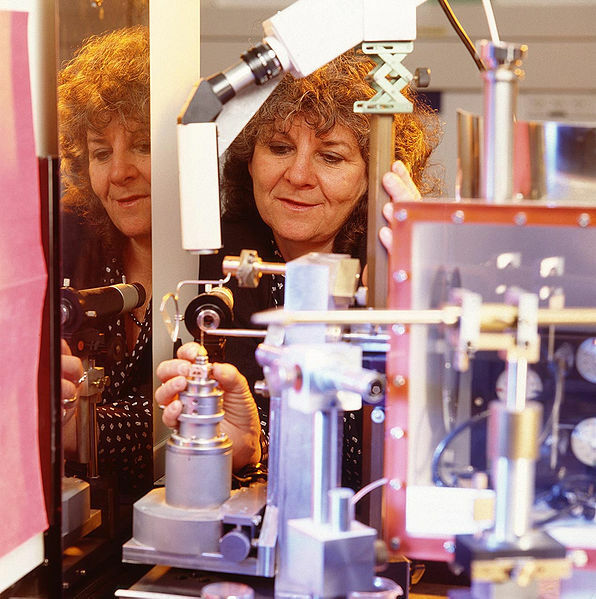 We are delighted that the Nobel Prize committee has recognized the significance of Prof. Ada Yonath’s scientific research and awarded her this important prize. Prof. Yonath’s research is driven by curiosity and ambition to better understand the world and our place within it. This research aims high: to understand one of the most complicated “machines” of the biological system. In the late 1970s, Prof. Yonath decided, when she was a young student at the Weizmann Institute, to take on the challenge of answering one of the key questions concerning the activities of live cells: to decipher the structure and mechanism of action of ribosomes – the cell’s protein factories. This was the beginning of a long scientific journey that has lasted decades, and which required courage and devotion from the start. The journey began in a modest laboratory with a modest budget, and with the years, increased to tens of researchers under the guidance of Prof. Yonath. This basic research, which began in the attempt to understand one of the principles of nature, eventually led to the understanding of how a number of antibiotics function, something that is likely to aid in the development of more advanced and effective antibiotics. This discovery will hopefully also help in the struggle against antibiotic-resistant bacteria, a problem recognized as one of the most central medical challenges of the 21st century. Prof. Yonath can be considered a model of scientific vision, courage in choosing a significant scientific question, and devotion in realizing the goal to its end – which will hopefully broaden knowledge for the benefit of humanity. http://wis-wander.weizmann.ac.il, and are also available at http://www.eurekalert.org. “People called me a dreamer,” says Prof. Ada Yonath of the Structural Biology Department, recalling her decision to undertake research on ribosomes – the cell’s protein factories. Solving the ribosome’s structure would give scientists unprecedented insight into how the genetic code is translated into proteins; by the late 1970s, however, top scientific teams around the world had already tried and failed to get these complex structures of protein and RNA to take on a crystalline form that could be studied. Dreamer or not, it was hard work that brought results: Yonath and colleagues made a staggering 25,000 attempts before they succeeded in creating the first ribosome crystals, in 1980. And their work was just beginning. Over the next 20 years, Yonath and her colleagues would continue to improve their technique. In 2000, teams at Weizmann and the Max Planck Institute in Hamburg, Germany – both headed by Yonath – solved, for the first time, the complete spatial structure of both subunits of a bacterial ribosome. Science magazine counted this achievement among the ten most important scientific developments of that year. The next year, Yonath’s teams revealed exactly how certain antibiotics are able to eliminate pathogenic bacteria by binding to their ribosomes, preventing them from producing crucial proteins. Yonath’s studies, which have stimulated intensive research worldwide, have now gone beyond the basic structure. She has revealed in detail how the genetic information is decoded, how the ribosome’s inherent flexibility contributes to antibiotic selectivity and the secrets of cross-resistance to various antibiotic families. Her findings are crucial for developing advanced antibiotics. Prof. Ada Yonath’s research is supported by the Helen and Milton A. Kimmelman Center for Biomolecular Structure and Assembly. Prof. Yonath is the Martin S. and Helen Kimmel Professor of Structural Biology.